President Maithripala Sirisena speaking at the launch of the National Action Plan for combating Bribery and Corruption yesterday said he was dismayed he had to set up commissions to investigate acts of bribery and corruption of his own administration during his four year rule, adding that these acts were done with impunity. He said he was appalled at the number of requests from officers and their families who wished to migrate simply because their lives were in danger. He referred to the Presidential Bond Commission adding that constant infighting in Parliament eroded the confidence people placed on such institutions. He referred to the many attempts by various individuals who used Parliament to spread misinformation and sweep the report under the carpet. “The objective to rid the country of corruption and bribery has been the cornerstone of every government, a pledge on every political manifesto,” he said. The President also referred to discussions he had held with Singaporean counterparts on the extradition of one of the prime suspects who was named in the final Bond Commission report. “I was told that since it was a political issue that there was no sufficient grounds to arrest him, despite the fact that there had been an Interpol Red Notice,” he said. “I am appalled that the Singaporean government has been very indifferent to the matter despite my repeated requests.” He said that he would like to see the Singaporean government come clean on the matter and state if the suspect has fled their country or is still residing there. 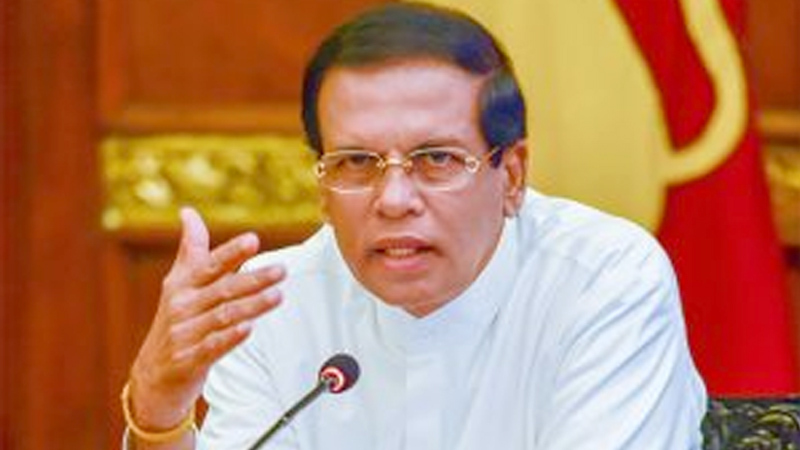 President Maithripala Sirisena faulted the Singaporean government for not cooperating in extraditing a suspect who has been named in the Presidential Commission to of Inquiry (PCoL) into the Central Bank Bond issuance report.